The Swatara is a classic, stylish, Hand Fired Stove. The high quality cast provides warm radiant heat. The Swatara is very reliable and constructed to exacting standards. Enjoy the cozy comfort of quality cast coal heat. 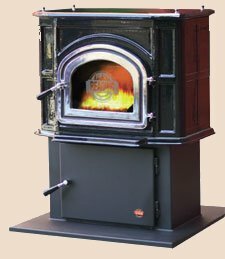 This stove is ideal for heating a country cottage, your home or condominium. Wake each morning to the pleasing warmth of the Swatara.